This Trial Offer is only available for a limited time with payment in advance by credit card. You get to test ADMIN Magazine with no obligation to continue your subscription. You will receive 2 consecutive issues (one every two months) of ADMIN Magazine, starting with the current issue (no back issues please). Should you decide not to continue reading ADMIN Magazine, just inform us on subs@admin-magazine.com within 7 days of receiving your second issue. 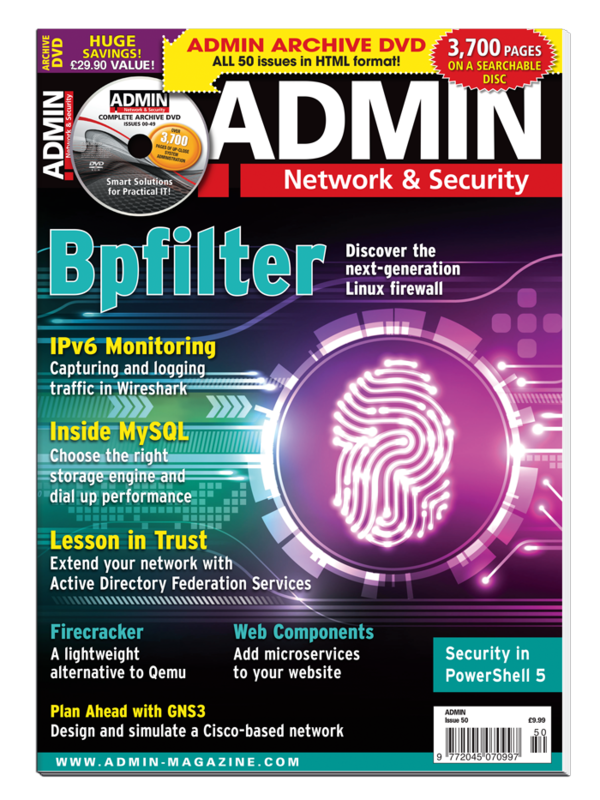 To keep reading ADMIN Magazine, you don't need to take any action – after the 2 trial issues, your subscription will continue as a 6-issue digital subscription at the yearly rate (see online shop). If you decide to continue your subscription, you can still take advantage of our Money Back Guarantee – you can cancel at any time for a full refund on all unreleased issues, no questions asked.